A properly implemented Federated Search enables patrons to conduct research with ease across verified and high quality information sources which librarians have invested time and money acquiring. At iGroup, our mission is to help libraries manage their growing information needs and ensure that libraries’ investments are rewarded with heavy use. Hence, we deploy different Federating Search strategies based on the needs of our customers. iGroup (Asia Pacific) is a leading provider of Federated Search services in the Asia Pacific region. Please contact us on how to increase your return-on-investment. Quality results are the primary objective of any digitization project. Quality includes not only superior images, but also high accuracy OCR, comprehensive metadata, and complete book integrity. And achieving this will allow you to use the book images to their fullest capability both now and for future undefined needs. Kirtas Technologies has developed a complete digitization solution. Utilizing the best in hardware and software, Kirtas enables our customers to digitize their content for the long haul. Too many people have entered into arrangements with digitization providers, book scanner manufactures and search engine providers, based solely on price. We are firm believers that you always get what you pay for. These institutions are just now realizing that very little thought was put into the quality of those images, and what they might be asked to do with them now, five years later, or 20 years down the road. That’s where Kirtas comes in. We took the time to think this through, from beginning to end, the A to Z of Digitization if you will. 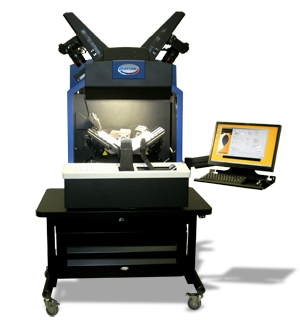 Libraries around the world have always recognized Kirtas as the world leader in book digitization, mostly because of our innovative book scanning hardware. What most people don’t realize is that for years Kirtas has been helping to shape what digitization is today, and will be in the future. Kirtas had the forethought to develop not only the best book digitization systems in the world, but the accompanying software for inventory control, image processing and post processing for OCR, searchable PDFs, ePub etc.